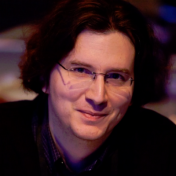 John Biggs is a writer, consultant, programmer, former East Coast Editor and current contributing writer for TechCrunch. He writes mainly about technology, cryptocurrency, security, gadgets, gear, wristwatches, and the internet. After spending his formative years as a programmer, he switched his profession and became a full-time entrepreneur and writer. His work has appeared in the New York Times, Laptop, PC Upgrade, Surge, Gizmodo, Men’s Health, InSync, Linux Journal, Popular Science, Sync, and he has written a book called Black Hat: Misfits, Criminals, and Scammers in the Internet Age. He builds products, writes books, and consults with startups to help them make cool things. John Biggs runs the BWL family of blogs, SlushPile.net, Audiomonger, and WristWatchReview.com. Born in 1975, he currently resides in Brooklyn, NY. Disclosure: Biggs owns and maintains cryptocurrencies in a private account and has been consulting with startups regarding blockchain-based products. 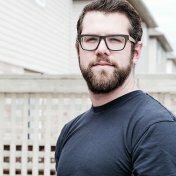 He also edits and writes for startup clients. Matt is a Managing Editor at TechCrunch. He started at TechCrunch as a freelance writer in 2008 and moved up the ranks to become the Managing Editor in early 2017. Born and raised in the heart of the automotive world, he has a special place in his heart for mobility startups and gadgets. At TechCrunch he manages the editorial side of the company's events including TechCrunch Disrupt, TechCrunch Sessions and the company's various worldwide events. Previously he was a freelance writer at Engadget and EngadgetHD where he hosted podcasts until he was removed from that role after saying a swear word. He's very sorry and promises it won't happen again. His passions include emails, run-on sentences and following through with action items developed during a conference call. And woodwork. 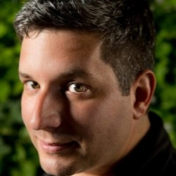 Greg Barto currently works at TechCrunch as the Editorial Operations Manager. Jesse Chambers is the Vice President of Monetization for AOL's iBrands, which includes TechCrunch, where he worked for several years as Director of Sales, Operations & Monetization. Prior to joining the TechCrunch Team, Jesse worked in various roles within AOL's Sales and Operations teams, respectively, including as Account Management Director for the Tech / Telecom vertical on the West Coast. Previously, he started and led the Inside Sales team at StubHub.com prior to its acquisition by eBay in 2007. He has lived in San Francisco for more than a decade, but will forever consider himself a proud New Yorker. Kim-Mai Cutler is a partner at Initialized Capital, an early-stage venture firm that has roughly $500M under management and has been a seed investor in companies including Coinbase, Instacart and Patreon. Before that, she was a journalist for more than 10 years, working at publications including TechCrunch, Bloomberg and The Wall Street Journal. 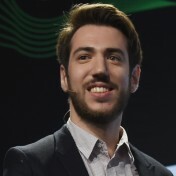 Romain Dillet is a Senior Writer at TechCrunch. Originally from France, Romain attended EMLYON Business School, a leading French business school specialized in entrepreneurship. He covers many things from mobile apps with great design to privacy, security, fintech, Apple, AI and complex tech achievements. He also speaks at major tech conferences. He likes pop culture more than anything in the world. He now lives in Paris when he's not on the road. He used to live in New York and loved it. He owns small amounts of various cryptocurrencies. 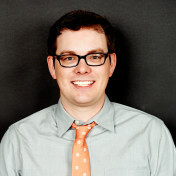 Bryce Durbin is a graphic designer and illustrator for TechCrunch. 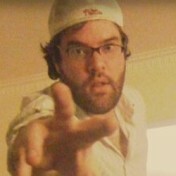 His portfolio can be viewed at brycedurbin.com. Bryce Durbin holds a Master of Fine Arts degree in Print Media from Cranbrook Academy of Art. Rip Empson is a writer, explorer, eager learner and part-time rabble-rouser -- whatever that means. He's worked as a senior associate at Morgenthaler Ventures and Canvas Venture Fund, and before venture capitalizing, Rip spent nearly four years at TechCrunch, the leading technology publication and media dynamo, where he covered startups. Within the Whacky World Of Startups, Rip focused most of his attention on chronicling the rise of technology and ambush of innovation on health and education. But between you and me, I hear he's especially passionate about any and all forms of disrupting -- particularly those that are disrupting the disruptable disruptions -- and anyone or anything that can quench his insatiable thirst for disrupt-a-lutions. Rip has been quoted by various people at various times – some of them publications and probably super wicked famous people referencing his work – some of them people mistakenly re-tweeting him thinking he’s Rip Torn. Is he a budding national treasure? You said it, not him. As to what he’s doing right now? He’s either transferring his life savings from Scramble With Friends tokens to Bitcoin or vice versa. Hard to say, really. Darrell Etherington is a Writer at TechCrunch, focused on covering early-stage startups, especially those with a technology focus. Darrell used to work for Apple in the PR department, but he does not currently hold any Apple stock. Greg Kumparak is an editor at TechCrunch. Greg started at TechCrunch in May of 2008. He led TechCrunch's sister site MobileCrunch as editor until AOL acquired the company in 2010, at which point the editors of TechCrunch's four main sites (TechCrunch, CrunchGear, MobileCrunch, TechCrunch UK) merged the sites under one domain. Best known for his gadget coverage, Kumparak has broken hundreds of stories within the space — unearthing details on everything from abandoned Samsung smartphone prototypes to new Apple devices. He's also one of the Internet's most prolific "live bloggers", having reported from the scene at dozens of international events for live audiences in the hundreds of thousands. He was one of the earliest writers to highlight and report on a number of companies that have since become "unicorns" (reaching a valuation of $1B or more), including Zenefits and Twilio. Kumparak is a frequent guest on TechCrunch's Gadget, Apple, and Android podcasts, and often appears on stage as an interviewer or judge at TechCrunch's meetups and Disrupt conferences. 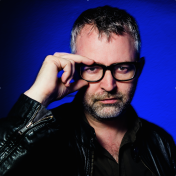 In 2012, Greg was featured on the BBC, Wired, Mashable, Engadget and many other outlets for a side project he called the "tARdis", or the Augmented Reality TARDIS. By combining augmented reality with a handmade physical model, Greg was able to replicate the otherwise physically impossible "bigger on the inside" visual effect that commonly appears on television's Doctor Who series. 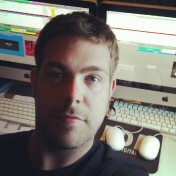 Matt is a Events Sales Sponsorships Account Executive for TechCrunch. He was previously a Sales Manager for ad:tech North America where his responsibilities were to the San Francisco and New York shows. ad:tech claims to be the largest digital marketing event and is under the parent company dmg :: events. Matt attended the University of San Francisco and graduated with a Bachelors in Communication in 2007. 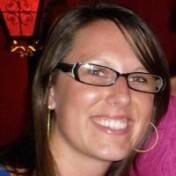 Leslie currently works as the Director of Events at TechCrunch and Engadget. Previously at TechCrunch, Leslie was Event Partnerships Manager, working on the TechCrunch Disrupt Hackathon and Conference as well as various Engadget events. Prior to that, she worked at Investors Title Insurance Company as a Marketing Manager, TechTarget as a Campaign Manager of National Accounts and Marketing Programs Manager. 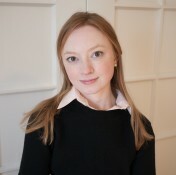 Susan Hobbs is the Chief of Staff of Cloudflare, a web performance and security company. Her path to the tech world is unique. She began her career as a public school teacher in Southern California but returned to her Silicon Valley roots when she joined a hardware startup as their first non-engineering hire. Susan’s operating expertise lies in strategy, partnerships, product and marketing from this experience as well as her time at a San Francisco SaaS startup. Both startups were each acquired twice (Codian by Tandberg and then Cisco, CoTweet by ExactTarget and then Salesforce) leading Susan to once again expand her professional horizons by joining TechCrunch and eventually Y Combinator, both of which have defined early stage startup ecosystem. Most recently, Susan was a Partner at CrunchFund where she led investments in early stage companies. You can reach her directly on Twitter @slh. Ryan Lawler is Head of Content at Samsung NEXT. Ryan previously covered technology and business for publications such as TechCrunch, GigaOM, Contentinople, and Light Reading. Filmmaker & Photographer based in New York City. Former Video Producer & Editor for TechCrunch TV. Prior, I was a freelancer for clients such as The Bowery Presents, HealthiNation, Cirque du Soleil, TV Tech Managers, and "Inside the Actor's Studio". I also served as the East Coast Editor for Film Slate Magazine during it's initial run. I live in Montclair, NJ with my wife Rashmi. I'm an avid collector of vinyl records, thoroughly root for Cleveland sports teams, enjoy a good Pale Ale or Porter from Great Lakes, Brooklyn Brewery, Dog Fish Head, and Stone Brewing Co., and paint or draw in my spare time. 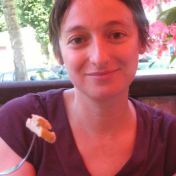 Ingrid is a writer and editor for TechCrunch, joining February 2012, based out of London. Before TechCrunch, Ingrid worked at paidContent.org, where she was a staff writer, and has in the past also written freelance regularly for other publications such as the Financial Times. Ingrid covers mobile, digital media, advertising and the spaces where these intersect. When it comes to work, she feels most comfortable speaking in English but can also speak Russian, Spanish and French (in descending order of competence). John currently works for TechCrunch as a producer for TechCrunch TV. Chris Nesi is copy editor at TechCrunch. Chris joined TechCrunch from the Huffington Post Media Group, where he was founding editor of a daily news site in the Patch network. He is an award-winning journalist with experience as an editor and a daily reporter, and whose work has appeared in more than a dozen publications including The Record, The Huffington Post and Consulting magazine. 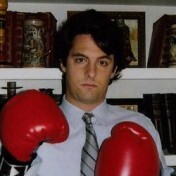 Henry Pickavet is the Editorial Director at TechCrunch. 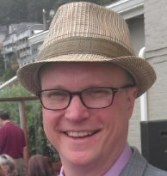 Prior to joining TechCrunch, Henry had a hand in a number of online and print publications, including InternetNews.com as chief copy editor and Government Technology Magazine as managing editor. He also did a stint in Sydney as group editor of RBI Australia's manufacturing group, which is when he also developed an affinity (a love, really) for cricket. He has a bachelor's in English from California State University, Chico, and a master's in Liberal Studies from the New School for Social Research in New York. Colleen Taylor is based in San Francisco. 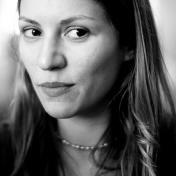 Prior to her position at Y Combinator, she was a reporter for TechCrunch and the editorial director for TechCrunch TV. Previously she worked as a reporter for GigaOM, the Financial Times' Mergermarket newswire, and the semiconductor industry newsletter Electronic News. 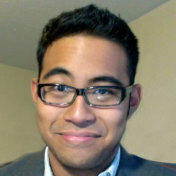 Chris Velazco is a mobile enthusiast and writer who studied English and Marketing at Rutgers University. 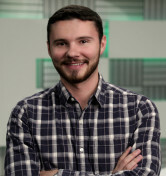 Once upon a time, he was the news intern for MobileCrunch, and in between posts, he worked in wireless sales at Best Buy. After graduating, he returned to the new TechCrunch to as a full-time mobile writer. He counts advertising, running, musical theater, and soup among his myriad interests. 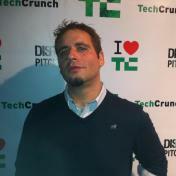 Nicolas joined TechCrunch in October 2012 as Senior Software Engineer. 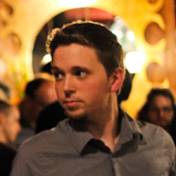 As part of the dev team, he was one of the core developers for TechCrunch's redesign in 2013. Born in San Francisco, but raised and educated in France, Nicolas graduated from EPITECH with a Master's Degree in Computer Science. During his 4th year at Epitech in 2010, he attended California State University, Long Beach, and UC Berkeley for a yearlong exchange program. Alex Williams is currently an enterprise writer for TechCrunch. He is a veteran technology blogger, journalist and analyst. He led the cloud and enterprise channels at ReadWriteWeb before joining SiliconAngle, where he worked as a senior editor. Alex has a masters degree in journalism from Northwestern University and a BA in French Litertature from the University of Denver. He got his start in journalism when he wrote about his experience as a college student playing baseball in France. He lives in Portland, Oregon. Disclosure: I am on the board of advisors for a startup called Red Truck. I own options in the company. I have a small share in a family partnership that owns shares in a number of technology companies, including Apple Computer and Fusion-io. Crunchbase, TechCrunch's open database about start-up companies, people and investors, has become the leading statistical resource for technology companies and transactions. The company hosts major conferences and events, including the Disrupt series, The Crunchies Awards, and various meet-ups worldwide serving as community platforms for industry conversation and collaboration. TechCrunch creates revenue in a variety of ways. In addition to advertising on the site, TechCrunch has e-commerce affiliate relationships with partners, which means certain links on the site go to partners who pay TechCrunch a share of any transaction that results from the click. Those partners are Amazon, Skimlinks, and Wirecutter. Links to Amazon are clearly labeled and appear on stories that reference products available on Amazon. Skimlinks is an automated service that scans links on our site and collects a small commission on purchases associated with a click from TechCrunch. Wirecutter syndicates content to TechCrunch, including affiliate links to Wirecutter’s partners. The TechCrunch editorial team plays no role in the creation of any of these affiliate links on the site. TechCrunch's story began on June 11, 2005, when founder Michael Arrington launched a blog from his home in Atherton, CA, as a way to share information and get informed about people and companies that were making waves in the burgeoning world of Web 2.0. At the time, Arrington was founding another start-up, Edgeio, and blogging in his spare time; yet, in less than a year and a half, TechCrunch was drawing several million page views every month and the attention of top entrepreneurs and VCs. Before long, Arrington was launching supplemental sites to cover startups and gadgets to nearly every fold of the tech industry, and he began to throw parties at his home in Silicon Valley, which have since grown into some of the largest and most popular conferences in the technology arena. The TechCrunch Disrupt conference series, for example, combines leading innovator interviews with a startup launch competition and attracts over 2,000 attendees in New York and San Francisco. The big break for TechCrunch came, however, in October 2006 when Arrington first broke the news of YouTube's acquisition by Google, landing the hobbyist on the homepage of the Wall Street Journal's Marketplace section and marking an important turning point for the site - and for new media. Thereafter, Arrington's TechCrunch was no longer relegated to simply providing opinion about breaking news; it became a complete news outlet in its own right. By 2008, Time Magazine recognized Arrington as one of the World's 100 Most Influential People. In 2007, Arrington brought CEO Heather Harde and co-editor Erick Schonfeld into the TechCrunch ranks. Harde was a tenured media veteran, having grown through the rank and file of various News Corporation properties. Schonfeld had previously been editor-at-large of Business 2.0, ran its main blog, Next Net, hosted an online video series on CNNMoney, and organized a regular series of industry conferences. Harde and Schonfeld have since helped build a talented stable of writers, engineers, and contributors. In September 2010, TechCrunch was acquired by AOL and is now one of its leading power brands. Today, TechCrunch has moved out of Arrington's Atherton ranch, re-locating to San Francisco, and now boasts over 40 employees, as it continues to become one of the most influential news brands in the tech industry, maintaining its place at the top of TechMeme's Leaderboard as the #1 source of breaking tech news. Our columnists and contributors bring deep insights from the heart of the tech community. TechCrunch columnists publish articles regularly; some even have their own shows. You can find articles by columnists like MG Siegler, Andrew Keen, Chris Dixon, Steve Gillmor, Cyan Banister and more regularly on our homepage. Our contributors write thought pieces and other types of articles. We have had many TechCrunch contributors over the years and we are always looking for more. Our all-star list of contributors include: James Altucher, Mark Suster, Tom Anderson, and others. You can view the full list of columnists and contributors here.